Our Declaration of Independence includes 650 words. The word “Jewish,” in its different forms, appears 20 times, while the word “democracy” doesn’t even appear once. The people who drafted the declaration and signed it had the highest regard for democratic values, but first and foremost they wanted to stress its Jewish side. 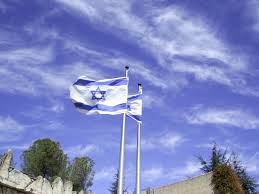 Perhaps they said to themselves that there are many democracies in the world, but only one Jewish country. It’s important to protect it. These days it’s even more important. From the outside and from within attempts are being made to undermine the Jewish character of the Jewish state. The dark forces rely on the fatigue of the Zionist material in order to internationalize Israel and declare it a state of all its citizens. They are taking advantage of the fact that over the years the fashion here has changed, and democracy has been emphasized at the expense of Judaism. The Israeli Left takes its cues from Western Europe and the US. From Europe it gets the ideas of multiculturalism, postnationalism, hedonism and hatred of religion. Together these are a recipe for a low native birthrate and a rapidly increasing, non-assimilating Muslim population. Europe is rapidly moving toward a point of no return, in which, paradoxically, the very features of its Enlightenment culture that support openness and egalitarianism will lead to its replacement by a distinctly non-democratic, authoritarian Islamic one. The Khan Theater in Jerusalem is no stranger to controversial provocativeness and notoriety. Motti Lerner, too often an outrageous playwright, set the tone 30 years ago. Many radical plays have been presented and now, in early July, the theater crew will be, in a sense, resurrecting Rachel Corrie. 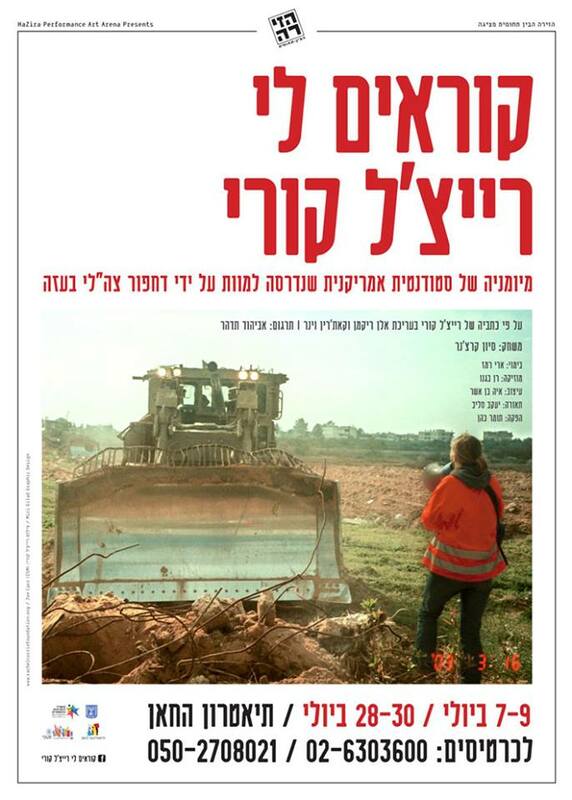 The Khan Theatre, sponsored by the Ministry of Culture and Sport (Minister Limor Livnat) and the Jerusalem Municipality (Mayor Nir Barkat), will be presenting They Call Me Rachel Corrie. The far-out left informs us that it will be shown in Jaffa, too. Sivan Kretchner will speak the monologue text. Let's recall that her death was used to batter Israel, unfairly. There may be other culprits lurking...We’re all shocked by the horrifying pictures of Corrie lying on the ground, broken and bleeding. But has anyone ever asked what kind of ghoul would snap pictures rather than rush to her aid or run to get help? 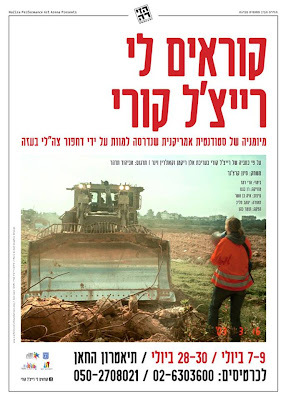 Numerous pictures of Corrie standing defiantly in front of an Israeli bulldozer appeared in the media, but upon investigation it transpired that not a single one was from the incident that killed her. Some were taken hours before the fatal incident with a different bulldozer; others were sloppy photoshopped forgeries. Why were there photos after she was injured and not before? Paramount pictures thinks that Islamic audiences in Turkey can handle a movie in which flesh eating zombies take over the world. But they were afraid that mentioning the word "Israel" might really horrify them. So they took the word out of the movie and replaced it with the words "Middle East." When the West is afraid of irrational anti-Israel sentiment, they end up giving it credibility. If you can handle a zombie movie, you can handle the word "Israel." Ma'an, the independent Palestinian news agency, reported this morning that secret talks are being held over the release of pre-Oslo prisoners. PA head Mahmoud Abbas has insisted that 107 Palestinians detained before the Oslo agreement must be released before the PLO will return to negotiations with Israel. First a technical note: when PLO chief negotiator Saeb Erekat told Ma'an the release of prisoners detained before 1993 was part of the 1999 Sharm el-Sheikh memorandum and that Israel was obliged to abide by it he was a barefaced liar. And I say bareface liar because, unlike some of his Israeli counterparts, Erekat actually knows the text of the 1999 Sharm el-Sheikh memorandum, and that document in no way obligates Israel to release those prisoners. If Israel releases these terrorists it is because it decided to do it - not because it is obligated to. Here we are with U.S. Secretary of State John Kerry going on and on about how important and critical it is for Israel and the Palestinians to return to the negotiating table and how we Israelis have to make sacrifices. And he is pushing us to release the 107 terrorists who carried out crimes against Israel more than two decades ago that were so despicable that they are still in prison today. 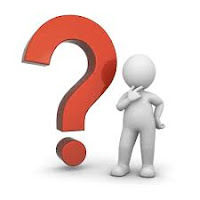 So here is the simple question: if U.S. Secretary of State John Kerry and his boss President Obama genuinely believe that the talks are important, why aren't they willing to make a "sacrifice" themselves? It has become a truism among some Christian groups that Israel is primarily to blame for the suffering of Middle East Christians. 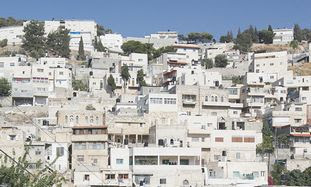 In 2010, for instance, a synod of Catholic bishops from the Middle East blamed the Christian exodus from the region on the Israeli-Palestinian conflict. 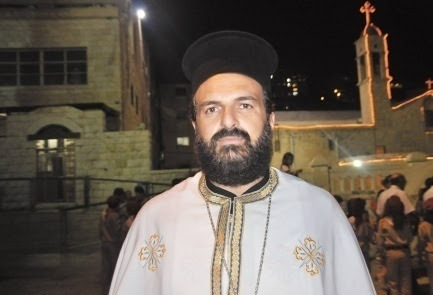 Thus it’s worth listening to what these Israeli Christians have to say: that Israel is actually the one place in the region where Arab Christians enjoy security; elsewhere, they are oppressed by their fellow Arab Muslims. Even more noteworthy, however, is that since the Arab Spring erupted, the “forum” to which Halul referred in the above quote–the Forum for the Enlistment of the Christian Community, founded by a group of Christian IDF veterans–has seen a marked increase in the number of Christians seeking to enlist, though they still represent a minority of the Arab Christian community. Previously, many Arab Christians bought into pan-Arab ideology, and thus believed their interests lay with their fellow Arabs. But the Arab Spring shattered this ideology: In country after country, Arab Islamists have turned on fellow Arabs who fail to toe their religious line, and this, naturally, includes Christians. By comparison, Israel is a haven. Blames Israeli 'intransigence' for...everything. Guess who? In its June 29 edition, the Washington Post has run an article by correspondent Karen DeYoung about Secretary of State John Kerry's strenuous shuttle diplomacy to get Israel and the Palestinians to resume negotiations. In enumerating challenges and obstacles in Kerry's path, DeYoung reports that "international weariness of what is seen as Israel's intransigence has grown, manifested in a divestment movement and dwindling sympathy in Europe." Really? So, according to DeYoung, it's Israeli "intransigence" that's holding up a peace deal. But her evidence is hardly convincing. The anti-Israel boycott drive has been a big flop. Israeli trade is up with regional and global countries, including Turkey. As for "dwindling sympathy" for Israel in Europe, that's hardly a new factor. If Israel had to depend on European "sympathy" for its existence and security, it would have folded a long time ago. Far more telling is the fact that, far from indulging in "intransigence," Israel is on the same page as Kerry and the White House in calling for prompt renewal of negotiations without pre-conditions. The real fly in the ointment, the real "intransigence," belongs on the Palestinian side, where President Mahmoud Abbas finds himself increasingly isolated from the U.S. in demanding a host of major Israeli concessions -- release of Palestinian prisoners, a construction freeze in eastern Jerusalem and the West Bank -- before talks even get under way. As U.S. Secretary of State John Kerry pursues his efforts to revive the peace process in the Middle East, Palestinian officials in the West Bank are complaining that Palestinian Authority President Mahmoud Abbas is keeping them in the dark and refusing to brief them about his plans. For these officials, Abbas's autocracy has turned the Palestinian Authority into a one-man show called Mahmoud Abbas. President Abbas has become the president of everything related to the Palestinians and the Palestinian cause, complained Sufyan Abu Zayda, a senior representative of Abbas's Fatah faction. He is the head of the PLO, President of Palestine, President of the Palestinian Authority, head of Fatah, and commander of the Palestinian Authority security forces. Moreover, in the absence of a functioning Palestinian parliament, Abbas has taken it upon himself to issue his own laws. The Palestinian parliament, known as the Palestinian Legislative Council, has been paralyzed ever since Hamas drove Abbas's Palestinian Authority out of the Gaza Strip in 2007. ...This week it was reported that Kerry is set to appoint Robert Malley to serve as deputy assistant secretary of state for Near Eastern affairs. Malley has built his career out of advancing the ideas Obama embraces. In 2001, Malley authored an article in The New York Times where he blamed Israel for the failure of the Camp David peace summit in July 2000. At that summit, Israel offered the Palestinians nearly everything they demanded. Not only did Palestinian leader Yasser Arafat refuse the offer. He refused to make a counteroffer. Instead he went home and ordered his deputies to prepare to initiate the terror war against Israel which he started two months later. US foreign policy is failing worldwide. The Russian and Chinese embrace of indicted traitor Edward Snowden is just the latest demonstration of the contempt in which the US is held by an ever increasing number of adversarial states around the world. Iran has also gotten a piece of the action. 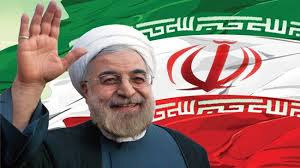 As part of the regime's bread and circuses approach to its subjects, supreme dictator Ali Khamenei had pretend reformer Hassan Rohani win the presidential election in a landslide two weeks ago. Rohani has a long record of advancing Iran's nuclear program, both as a national security chief and as a senior nuclear negotiator. He also has a record of deep involvement in acts of mass terror, including the 1994 bombing of the AMIA Jewish center in Buenos Aires that killed 85 people and wounded hundreds. Yet rather than distance itself from Rohani the phony, the Obama administration has celebrated Iranian democracy and embraced him as a reformer. Obama's spokesmen say they look forward to renewing nuclear talks with Rohani, and so made clear - yet again - that the US has no intention of preventing Iran from becoming a nuclear power. Rohani responded to the administration's embrace by stating outright he will not suspend Iran's nuclear enrichment activities. In other words, so great is Iran's contempt for President Barack Obama and his administration, that it didn't even pay lip service to the notion of cutting a deal. And that makes sense. 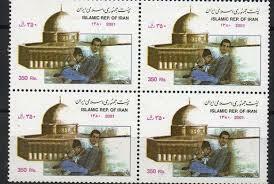 Obama only has one card he is willing to play with Iran: appeasement. And so that is the card he plays. His allies are already talking about containing a nuclear Iran. But that's not an option. A government's ability to employ a strategy of nuclear containment is entirely dependent on the credibility of its nuclear threats. Obama is slashing the US nuclear arsenal, and Snowden reportedly just gave the Russians and the Chinese the US's revised nuclear war plans. Obama has no credibility in nuclear games of chicken. He has no chance of containing Khamenei and his apocalyptic jihad state. The situation in Syria, with whose government Israel has repeatedly been urged to come to terms and to make painful compromises etc. etc, goes from catastrophic to even worse. may now be as high as 100,000... another emergency is looming: a public health crisis across the region. ...But, of course, such Palestinian complaints do make sense, at least from the point of view of most Palestinians. Their goal isn’t a state alongside Israel or to share Jerusalem. They want Jews out of Har Homa for the same reason they want them out of most other parts of the country since what they desire is a Palestinian state free of Jews. Secretary of State John Kerry is back in Israel today for another bout of what some wags are calling “couples therapy” for Prime Minister Benjamin Netanyahu and Palestinian Authority head Mahmoud Abbas. The chances of this push leading to fruitful negotiations, let alone a peace agreement, are slim. But what is most interesting about the chatter all this talking about talking is producing is the way the Palestinians and other critics of Israel are trying to raise the ante even before anyone sits down together. Thus, the willingness of PA negotiator Saeb Erekat to turn the announcement of building permits in a Jewish neighborhood in Jerusalem into an excuse for not making peace tells us a lot more about the Palestinian mindset than it does about the Netanyahu government. The permits for constructing 69 apartments in the Har Homa neighborhood was treated as a big deal in today’s New York Times, which validated Erekat’s attempt to inflate the decision into a cause célèbre. The Times was also quick to compare it to the 2010 episode in which the Obama administration picked a fight with Netanyahu over a routine announcement about a housing start in a 40-year-old Jewish neighborhood in Jerusalem. The administration claimed it was an “insult” to Vice President Joe Biden, who happened to be passing through the city at the time. Little good came of that for anyone, especially since the Palestinians failed to use the U.S. tilt in their direction by returning to peace talks. But it bears repeating that the Palestinian desire to claim that any building in parts of Jerusalem that were once illegally occupied by Jordan from 1949 to 1967 and during which Jews were banned from even worshiping at the Western Wall–let alone living in those parts of their ancient capital–is an obstacle to peace simply doesn’t make any sense. 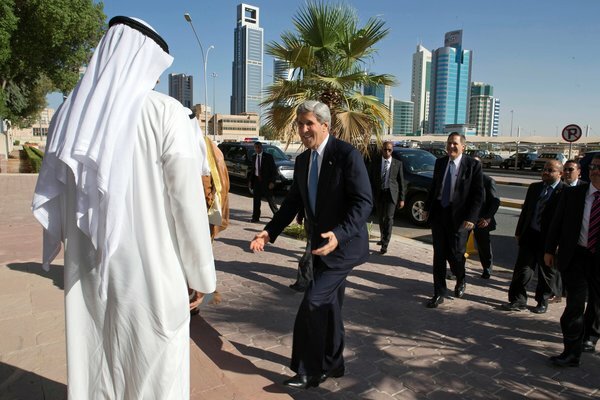 Mr. Kerry, Is The Arab-Israeli Conflict Really About Economics? ...After all, Palestinians are by far the world’s largest per capita recipients of international foreign aid, having received more than $12 billion over the past 15 years. Through UNRWA the international community, meaning mostly the U.S. and the European Union, also provides another $500 million a year to support Palestinian health, education and welfare services. Presumably the flip side to Israeli prosperity is Palestinian poverty. But this is a harder claim to make. After all, Palestinians are by far the world’s largest per capita recipients of international foreign aid, having received more than $12 billion over the past 15 years. Through UNRWA the international community, meaning mostly the U.S. and the European Union, also provides another $500 million a year to support Palestinian health, education and welfare services. But, as a new report from the World Bank notes, Western largesse has predictably bred Palestinian dependence and under-development rather than prosperity. For example, there is a huge construction and services bubble in Ramallah, the seat of the Palestinian Authority, but the rest of the West Bank economy remains under-developed. The public sector is the largest employer, and it includes Palestinian terrorists in Israeli jails. Vast amounts of money continue to disappear into the bank accounts of the Palestinian Authority leadership and their cronies. 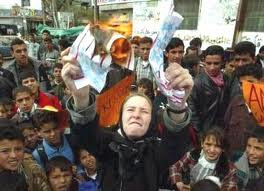 How much of the over $12 billion has actually reached Palestinians is unknown, since Western donors prefer not to know. For the French legal system, the facts of what happened at Netzarim were and are essentially irrelevant. This case was not about getting at the truth, but about protecting the honor of French institutions. The al-Dura hoax remains an icon of journalistic deception. It is a pity this now has the imprimatur of the French judicial system. This week the Paris Court of Appeals disgraced itself and revealed the dark side of France’s arcane laws of defamation, elevating the principle of French honor above the value of truth-telling for French journalists. 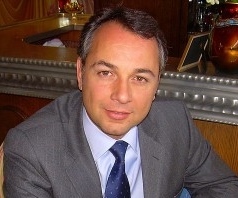 The appellate court’s sentencing of Philippe Karsenty to a fine of 7,000 Euros for the “crime” of speaking truth to power telegraphs how France has decided to treat whistle-blowers who have the temerity to demand that state-sponsored media outlets differentiate between theater and news. Perhaps this second panel of the appellate court was not entirely at fault for its misstep. It operated with blinders, since the French Supreme Court forbade it from viewing the relevant evidence that led the first panel of the court to acquit Karsenty. For the French legal system, the facts of what happened at Netzarim were and are essentially irrelevant. This case was not about getting at the truth, but about protecting the honor of French institutions. The al-Dura hoax remains an icon of journalistic deception. It is a pity this now has the imprimatur of the French judicial system. On September 30, 2000, upon the launch of the second Intifada, the France 2 TV network broadcast approximately a minute’s truncated footage of an episode shot by its Palestinian stringer, Talal Abu Rahma, at Netzarim Junction in Gaza. Abu Rahma was the only photojournalist of dozens filming at Netzarim that day to record the incident. Charles Enderlin, France 2′s Jerusalem correspondent, who did not witness the scene, narrated the broadcast footage, based chiefly on Abu Rahma’s say-so alleging that 12-year-old Mohammed al-Dura and his father Jamal were the target of fire from the Israeli position as they took cover behind a barrel near a wall at the Junction. In later interviews, Abu Rahma and Enderlin reaffirmed and embellished their allegations, indicting Israeli soldiers for slaying Mohammed and grievously wounding his father, firing “hundreds of bullets” over a period of 45 minutes at the al-Duras. ...an Israeli fringe group funded by mostly non-Israelis to collect testimonies from soldiers who shared their “horrific experiences” while fueling an image of Israel as the worst violator of human rights. A concomitant message used by the pro-Palestinian supporters to sell to the Western media outlets. The difficulty here is that these myths are now being perpetuated by former Israeli soldiers. Notwithstanding such criticisms, BtS has become the poster child for groups like J Street and others on many North American campuses that want to engage in “honest debate” about the Israeli- Palestinian conflict. In reality these groups do nothing more than fuel a skewed view of Israel in order to pressure Israel to succumb to Palestinian demands, thereby only contributing to the isolation of the Jewish state. Further, it is also the pervasive tactic employed by the Boycott, Divestment and Sanctions movement (BDS) in their political warfare against Israel. The adaptation of soft power by the pro- Palestinian camps and far-left Jewish groups is one of the main vehicles used in this political warfare. Breaking the Silence plays a central role in this agenda, now spearheaded by J Street. In 2008, before J Street was founded, BtS was disseminating its message on campuses like the University of Pennsylvania and Harvard through a photo exhibit showing the “egregious acts” of the IDF, mostly in Hebron. Paving the way for a future abandonment of the Jewish state. Reasonable people can disagree about how we should deal with this dangerous trend. But the first step is to recognize that it exists: that we’ve seen this historical pattern before, and it has deadly real-world consequences. When an acclaimed historian says he sees a terrifying historical pattern repeating itself, he deserves to be taken seriously. And Benny Morris is assuredly one of Israel’s most famous historians. Unfortunately, his warning is unlikely to be seen by many, since it’s buried at the end of a somewhat tedious book review. And it’s liable to be ignored by those who need to hear it most. Fortress Israel is just the latest in a spate of venomous perversions of the record that have appeared in the past few years in the United States and Britain, all clearly designed to subvert Israel’s standing in the world. Deliberately or not, such books and articles are paving the way for a future abandonment of the Jewish state. I am reminded of the spate of books and articles that appeared in Western Europe in 1936 through 1938 repudiating the legitimacy of the newly formed Czechoslovakia before its sacrifice to the Nazi wolves. 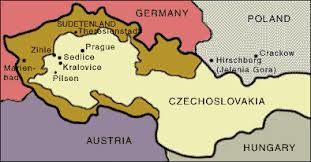 In 1934, the Conservative weekly Truth hailed Czechoslovakia as “the sole successful experiment in liberal democracy that has emerged from the post-War settlement.” By the end of 1936, The Observer was writing it off as “a diplomatic creation with no sufficient national basis either in geography or race.” By March 1938 The New Statesman, in the past a great friend to central Europe’s only democracy, was writing: “We should urge the Czechs to cede the German-speaking part of their territory to Hitler without more ado.” Of course, as all understood, this meant leaving Czechoslovakia defenseless. Hitler conquered the rump of the country a few months later without a shot. The appeasement of the Arab-Islamist world at Israel’s expense is in the air and Tyler is one of its (very, very) minor harbingers. ...Is the peace process after 40 years (if you count from its origins) or 20 years (if you count from the time of the “Oslo” agreement) at a dead end? Of course it is. That should be obvious. The Palestinians desperately want an independent state and are ready to compromise to obtain that goal. They will then live peacefully alongside Israel in a two-state solution. Unfortunately, this is blocked either by: a) misunderstanding on both sides or b) in the recent words of the Huntington Post, “the hard-line opponents who dominate Israel’s ruling coalition.” Israel is behaving foolishly, too, not seeing that, as former President Bill Clinton recently said, Israel needs peace in order to survive. One aspect—perhaps a leading one—why Israel desperately needs peace is because of Arab demographic growth. 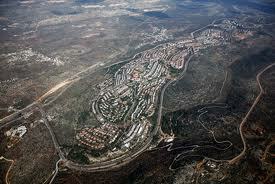 The main barrier to peace are the Jewish settlements. This interpretation has nothing, absolutely nothing, to do with reality. People on both sides know this, even if they rarely say so publicly. For the Palestinian side, the pretense of peacemaking—which every Palestinian leader knows—obtains money, diplomatic support, popular sympathy, and pressure on Israel. Here’s the dirty trick involved. If anyone raises in Israels raises issues about whether a “peace process” can really bring peace, concerns about how it would be implemented, and documented experience about Palestinian behavior in the past, the response is that Israel doesn't want peace. The actual arguments and evidence about these problems is censored out of the Western mass media and distorted in terms of political stances. 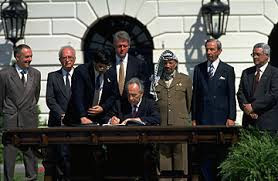 Is the peace process after 40 years (if you count from its origins) or 20 years (if you count from the time of the “Oslo” agreement) at a dead end? Of course it is. That should be obvious. In reality, the vast majority of Palestinian leaders favor establishing no Palestinian state unless it can continue the work of trying to wipe Israel off the map. They are in no hurry. They do not want to negotiate seriously. And, of course, in the case of Hamas, which controls or has the support of about one-half of the Palestinians, this violent and genocidal intention is completely in the open. You can’t negotiate seriously with those who are not–to recall the old PLO slogan–the sole legitimate representative of the Palestinian people. I say this with deep regret but it is the truth. On the Israeli side, the pretense is kept up because there is already enough Western hatred or real and potential hostility to what is required for its own self-defense. Israel offered deep concessions and took great risks continually through the 1990s. The judgment on the year 2000, the reveling year on the “peace process,” was that this Palestinian rejection of a two-state solution proved that they didn't want one. Now, every few days Abbas comes up with a new trick. The latest one is that he really desperately wants to meet with Netanyahu BUT the Israeli prime minister must first meet his latest preconditions which keep changing. And every time Israel starts closing in on matching one of his demands he just changes them. Once again we are all invited to a repeat performance of the age-old "negotiations with the Palestinians -- now and forever." We have seen this performance many times in the past, and it has never had a happy ending. At the end of the show, we have always regretted having paid such a high price for the ticket. The actors may change, the sets may be different, but our enemies' sea of hate continues to flow. Even Greek philosopher Heraclitus (famous for saying "no man ever steps in the same river twice") would not be able to understand how intelligent people can voluntarily jump into the same turbulent, dangerous waters time and time again. No marketing slogan or presidential pyrotechnics can hide the fact that the Palestinian leadership, whichever leadership it may be, will never accept Israel's existence as a Jewish state with Jerusalem as the capital. It will never relinquish its demand for the right of return. Every Palestinian leader knows that every concession brings him closer to his demise. There will always be a "shahid" (martyr) glad to take to heaven anyone seen by radical Islam as an infidel. Every time the U.S. runs into difficulties, whether domestically or abroad, it immediately focuses all its energies focus on Israel and the Palestinian issue. It is a clearly Pavlovian response. 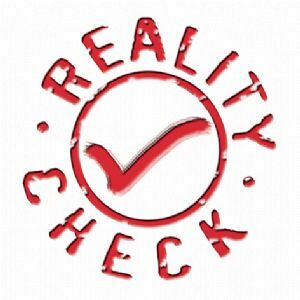 This conditioned response rests on the assumption that resolving the Israeli-Palestinian conflict will put the entire Western world out of its misery and allow the U.S. to rehabilitate its weakened status. Russia, under the leadership of Vladimir Putin, shows very little respect for the U.S. and provokes it incessantly, as though it were a tired, hibernating bear. Putin has learned to identify the limits of President Barack Obama's ability to use force, and he is grinding the U.S.'s power advantage to dust. U.S. Secretary of State John Kerry, instead of investing his efforts to resolving the U.S.'s real diplomatic problems, is wasting his time on futile trips between Ramallah and Jerusalem. Kerry's efforts will not help rehabilitate the U.S.'s standing, and could actually lead to unnecessary bloodshed. For years, we’ve been told that there’s plenty of time to stop Iran from gaining a nuclear weapon. The world laughed when Israeli Prime Minister Netanyahu drew a red line across a cartoon bomb at the United Nations last fall to demonstrate the need to act before it was too late. President Obama, who has vociferously pledged that Tehran will never gain such a weapon on his watch, tried engagement and then a mix of sanctions and diplomacy to try and make good on his promise. He still insists that this policy will eventually work and with the election of a new supposedly more moderate Iranian president, virtually everyone in the chattering classes and the foreign policy establishment has seemed content to allow the administration to keep talking about talking with the Islamist regime even if there’s no sign that it will ever work. This complacence has been criticized by American conservatives and some Israelis to little effect, but now one of the most reliable indicators of establishment thinking in Europe with little sympathy for Israel is agreeing with those long deemed alarmists about Iran. British and American intelligence sources think Iran is about a year away from having enough highly enriched uranium to make a bomb, and rather further from mastering the technologies to make a nuclear warhead small enough to fit into a missile. But David Albright, a former UN weapons inspector who is president of the Institute for Science and International Security, thinks that by mid-2014 Iran will have the capacity to produce enough fissile material for a single bomb in one or two weeks, should it choose to do so. It seems unlikely that Iran could be forced to change course on this matter by foreigners. The best that can be hoped for is that it decides that it does not want or need a nuclear weapon. But given that, as the magazine stated in the opening sentence of the piece, “Iran is putting up with sanctions that damage its economy rather than accept a deal limiting its nuclear programme,” what possible reason is there to believe that the ayatollahs would simply give up what the regime has worked so long and hard to achieve? The obvious answer is none at all. Which means that the assurances we have been getting from Washington about having all the time in the world to let diplomacy work—in spite of repeated failures—was pure bunk. While I wouldn’t expect those who have been working diligently to switch American policy from one aimed at stopping Iran to one of containment (something Obama has disavowed) to draw any conclusions from this, it should be noted that this turn of events has led a leading columnist at Israel’s left-wing Haaretz newspaper to make a startling concession: Netanyahu was right all along. ...But what’s more striking and disconcerting than this apparent resemblance, is the readiness – if not alacrity – of the seemingly well-intentioned movers and shakers in the democratic world to seize on the tyrant’s front-man as their interlocutor. It was gut-wrenching to watch the world fawn over Iran’s new president. It was even more sickening to see ignorance parading as astuteness and profound insight. We can only be mystified by how all those who never previously heard of Hassan Rohani instantly knew he was a famous moderate, that his election was a blow to Iran’s Supreme Leader Ayatollah Ali Khamenei, that Khamenei was exceedingly upset by the people’s choice, even that he greeted it with a sour expression. The consensus among the overnight experts on an esoteric arena was that the vote was a runaway surprise, where the forces of good walloped the forces of evil. Non-too-amazingly, the White House orchestrated the optimism. US President Barack Obama's chief of staff informed us that Rohani’s victory was a "potentially hopeful sign" and that if Mahmoud Ahmedinejad’s successor behaved well, “he will find a partner in us." Spinning the spin on CBS's Face the Nation, Denis McDonough exuded hope: "If he [Rohani] is interested in, as he has said in his campaign, mending Iran's relations with the rest of the world, there is an opportunity to do that." There was plenty more – most of it even worse – in the same pathetically out-of-the-loop vein from every democratic corner on this planet. But the truly frightening fact is that it’s not for the first time. Self-bamboozlement appears to be chronic. Not too many years back, the conventional wisdom worldwide was that that Syria’s new leader Bashar Assad, who had then just inherited the Damascus throne from his deceased father, was an enlightened almost-democrat. Why? He was an ophthalmologist who trained in the UK, spoke fluent English and surfed the web. Moreover, his lanky figure, fair complexion and sheepish appearance conveyed the impression of an easygoing urbane antihero – a man the West can do business with. 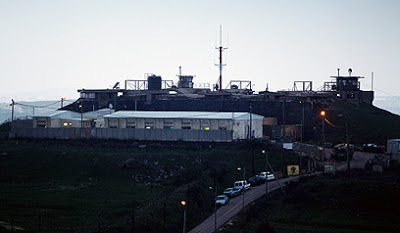 On the basis of nothing more, the pressure on Israel mounted to cede the Golan to the eye doctor, the very one now exposed as a ruthless butcher. Imagine if we fell for the con and ushered Assad’s forces to the shores of Lake Kinneret. But who cares about us? It was always the same. Jewish existential woes were forever a negligible footnote – if even that – to assorted appeasers who couldn’t wait to lavish their trust upon another deserving despot. The sorts they, out there, laud as potential peace-partners, should send cold shivers down every spine – particularly Jewish spines over here. Not too many of us are aware nowadays, but there was a school of erudite thought in the 1930s that perceived Adolf Hitler as the Third Reich’s man caught in the middle. That broadminded view held that the fuehrer wasn’t the most extreme in the cast of Nazi characters, that it was possible to tame him – that he was pulled in contradictory directions by opposing forces. U.S. Secretary of State John Kerry’s calls for a freeze on Jewish construction in Judea, Samaria and Jerusalem while Arab construction, which far exceeds Jewish development, continues unfettered – are clearly biased. 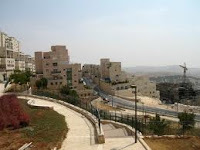 Arabs claim that Jewish settlements “change the status” of the Territories and represent a distortion of the Oslo Accords. The phrase applies to acts that change the political status of the disputed territory – such as outright Israeli annexation, or a Palestinian declaration of statehood. Since Jewish settlements are legal, any halt in construction should be reciprocated. The Oslo Accords do not forbid Israeli or Arab settlement activity. Charging that further Jewish settlement activity preempts final negotiations by establishing realities, requires reciprocity. If Jews were forcibly expelled from the West Bank in 1948 during a war of aggression aimed at them, then these Territories must be considered disputed Territories, at the least. ...The al-Dura myth is significant not so much because it annoys Israelis and their friends but because it reinforces the way Palestinians think of themselves and gives them carte blanche to commit any outrage. Debunking it is not pointless. Today (Wednesday) a ruling by a French court confirmed, after years of legal wrangling, that a French media critic was guilty of libeling a journalist who was largely responsible for turning a Palestinian child into a martyr for opponents of Israel. France 2, the television channel that employed Charles Enderlin, the reporter that first told the story of al-Dura, is representing the conviction of Phillipe Karsenty as a victory for French journalism. Karsenty was first convicted of libeling Enderlin in 2006 for saying he had fabricated parts of the original story. That verdict was reversed on appeal in 2008, but that ruling was overturned by France’s highest court last year allowing a lower court to fine Karsenty 8,000 euros. Those who cling to the claim that the iconic image of the boy dying in his father’s arms after being killed by Israeli gunfire was accurate will take this as a vindication of their cause. Even some who call themselves friends of Israel will hope this will put an end to the ongoing discussion about al-Dura, which they claim is a distraction from the need to seek peace with the Palestinians. But Karsenty, who rightly called the final verdict “outrageous,” isn’t going to shut up. And, since the Israeli government has endorsed his account, neither should anyone else who cares about Israel. As I wrote at length about this story last month, the al-Dura blood libel still matters because the demonization of Israel that Enderlin’s fakery helped reinforce is at the heart of the conflict with the Palestinians. Critics of Karsenty and the Israeli government claim that those who point out that al-Dura wasn’t shot by Israeli fire and perhaps was not even killed that fateful day at the start of the second intifada are fighting a losing battle whose only purpose is to evade the necessity of putting away old grudges. But this formulation has it backwards. It is the willingness of the Palestinians to cling to their blood libels against Israel and to concoct endless variations on them as they seek to undermine the legitimacy of the Jewish state that continue to fuel the conflict. The inevitable Jewish minority in Israel? Not inevitable, not even close. "...Is the “peace process” worth pursuing? Would a two-state solution end the conflict? These demographic trends can’t answer such questions. What they can do is remove the artificial pressure on Israel to do something — anything — before the sword of Damocles falls. And maybe, just maybe, they can open a few eyes among those who have been waiting, like Arafat, for “the womb of the Arab woman” to put an end to the Jewish state. It’s an old refrain, erroneous but popular: Israel must make peace with the Palestinians before high Arab birthrates turn the Jews into a minority in their own land. In Jerusalem a few months ago, President Obama echoed the same claim. This so-called “demographic argument” may sound compelling, even ominous. But it rests on an obsolete stereotype of Arab women as baby mills, outbreeding their Jewish sisters at such a pace that it is only a matter of time before Jews are numerically overwhelmed. In the 1960s, when the fertility rate for Israeli Arabs (9.2 births per woman) soared far above that of Israeli Jews (3.4 births per woman), that demographic challenge certainly seemed plausible. Yasser Arafat liked to say that the ultimate weapon in his arsenal against the Jewish state was “the womb of the Arab woman.” The Palestinian Authority has always understood the propaganda value of population data. As the Palestinian Central Bureau of Statistics began its first census in the West Bank and Gaza in 1997, the bureau’s director, Hassan Abu Libdeh, assured The New York Times that the results would amount to nothing less than “a civil intifada.” In 2005, the bureau predicted that Jews would be a minority in “historic Palestine” (i.e., west of the Jordan River) by 2010. Now it says the tipping point will come by 2020. Annexing Area C will not end the conflict or guarantee Israel’s security forever. But not doing it is a recipe for more war, terrorism and insecurity. Sometimes bold actions have undesirable outcomes. That’s why they are bold — they are risky. One example is probably the single worst mistake the Israeli government has made since 1948: recognizing the PLO as the representative of the “Palestinian people” and inviting it back from exile into the Jewish heartland (the second worst mistake was the 1967 decision to give control of the Temple Mount to the Waqf). So I hesitate to recommend another bold action, especially at this tremendously dangerous time. But a decision to do nothing also has consequences, and in this case we can already see the beginning of the results of the policy of doing nothing. I am referring to doing nothing about maintaining control of the highly strategic (and spiritually important) lands of Judea and Samaria, while permitting the US to push Israel into yet another pointless round of negotiations with a PLO that will not be satisfied by anything other than an Arab state from the river to the sea, and which cannot possibly be trusted to carry out any agreement it might make with Israel. Meanwhile, the Arabs — financed by the Europeans and the US — are simply taking the land. 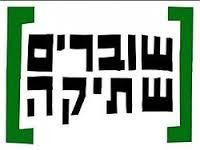 One day, after extended fruitless negotiations, after countless Israeli concessions to “strengthen Abbas” or to “establish good will,” after numerous incidents of terrorism which the PLO will deplore in English and celebrate in Arabic, Israelis will wake up to find that there is a de facto Arab state in all of Judea/Samaria. Then all that will be left will be for the UN Security Council to recognize it, for the IDF to withdraw, and for Israel to deal with a vicious terror state snuggled up to the soft belly of its population centers, international airport, etc. We will get, in other words, a “two-state solution” whether we want one or not. But it will not be ‘land for peace’ — it will be land given up for absolutely nothing, and a step on the way to the annihilation of the state. There is something we can do now. Presently — although the Arabs and their European friends are doing their best to change it — most (I’ve seen figures over 95%) of the Arab population of the territories lives in Areas A and B, the areas ceded to PLO control by the Oslo process, while the great majority of Jews live in Area C, the part under complete Israeli control. In addition to Jewish towns, area C includes areas strategic to Israel’s defense. 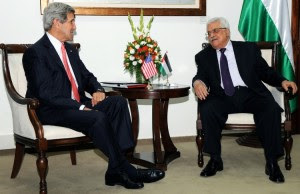 ...The artificial deadline Kerry is setting won’t create an accord so long as Abbas continues to believe that any acceptance of Israel’s legitimacy will be seen as a betrayal of Palestinian nationalism. What the region needs is actually more time for the Palestinians to come to grips with the need to alter this culture of hate, not a rush to talks with no solution in sight. “Long before September we need to be showing some kind of progress in some way because I don’t think we have the luxury of that kind of time,” he said in a joint news conference with his Kuwaiti counterpart. That sounds wise, but the mention of September—a reference to the meeting of the General Assembly of the United Nations where the Palestinians are likely to make mischief—is ominous. As much as Kerry likes to think he is the consummate diplomat who is orchestrating a momentous move toward peace, with his decision to try to rush the parties into a negotiation with no evidence of common ground or an opening for an agreement what he is actually doing is setting the region up for a blowup that could have been avoided. Instead of listening to the parties and seeing that the Palestinians are not ready to make the sort of sacrifices needed for peace, Kerry is blundering along, blind to the fact that the real enemy of peace is the hate that fuels the conflict, not an artificial deadline. The entire premise of Kerry’s initiative is the notion that rushing to peace is necessary since the status quo is untenable and likely to lead to trouble. 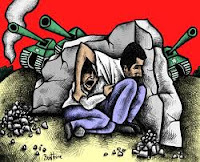 But what he fails to see is that as unpalatable as the present situation might be for both sides, it is infinitely preferable to one where the Palestinians think they can gain from outrageous behavior or violence. Since Abbas can’t even bring himself to talk without preconditions that would require Israel to accede to all of his demands in advance of negotiations, even if Kerry can drag him to the table, everyone on both sides knows there’s little chance he will stay there. A failure to negotiate is bad enough, as we have seen for the last four and a half years since Abbas last fled talks with Israel in order to avoid giving an answer to an Israeli peace offer. But negotiations that are doomed to failure are even worse. That’s something American diplomats should remember from the last time they tried to muscle Israel and the Palestinians into an agreement at Camp David in the summer of 2000. That led to the second intifada and over a thousand slaughtered Jews and even more dead Palestinians. 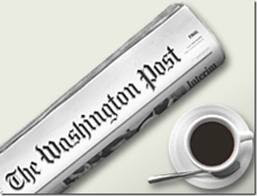 ...“I see that some people on the other side are very happy because they are saying it is a day of honor for journalism. It is a day of shame for journalism, and I think it is a day of shame for French democracy which is covering up from the bottom, to each and every level a blood libel,” he said. 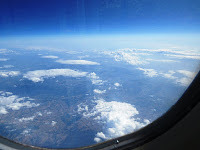 Shortly after a French court found him guilty of defamation over his work to expose the now infamous al-Dura hoax, Phillipe Karsenty spoke to The Algemeiner and shared his reaction to the verdict. Karsenty publicly accused state television network France 2 of falsely depicting the death of a young Palestinian boy, Mohammed al-Dura, in a firefight between Palestinian gunmen and Israeli soldiers. The start of the Second Intifada in which over 1000 Israelis were killed, was largely attributed to the video, which was broadcast September 30, 2000 and circulated throughout the world. This is a perfect example of how anti-Israel propaganda gets inserted by reporters with an agenda. They have the conventional wisdom of Israel as the oppressor, and it is assumed to be true without any fact-checking. Nidal al-Mughrabi at Reuters has a good sized article about Gaza's water woes. A tiny wedge of land jammed between Israel, Egypt and the Mediterranean sea, the Gaza Strip is heading inexorably into a water crisis that the United Nations says could make the Palestinian enclave unliveable in just a few years. With 90-95 percent of the territory's only aquifer contaminated by sewage, chemicals and seawater, neighborhood desalination facilities and their public taps are a lifesaver for some of Gaza's 1.6 million residents. But these small-scale projects provide water for only about 20 percent of the population, forcing many more residents in the impoverished Gaza Strip to buy bottled water at a premium. "There is a crisis. There is a serious deficit in the water resources in Gaza and there is a serious deterioration in the water quality," said Rebhi El Sheikh, deputy chairman of the Palestinian Water Authority (PWA). Further complicating the issue is Israel's blockade of the Gaza Strip, which activists say has prevented the import of materials needed for repairs on water and waste facilities. Israel says the blockade is needed to prevent arms from reaching Hamas, which is opposed to the existence of the Jewish state. Notice how the second sentence seems to support the first, as if Israel's blockade is aimed at water infrastructure. Has Israel ever stopped any water projects in Gaza? COGAT's list of projects from 2010-2012 lists a Rafah wastewater treatment plant, pumps for a sewage station, re-activation and upgrading of Deir al Balah desalination plant, improving capacity of CMWU to monitor quality water supply, building the Tel Sutlan sewage pumping sttaion, sewage projects in Deir Balah, replacement of Beit Lahia water network, a solid waste management system for all of Gaza, complete wastewater networks installed in the Khan Yunis area, installing pipelines in Khan Yunis, reservoir construction - dozens of such projects approved by Israel and implemented by NGOs like UNDP, USAID, UNRWA, the ICRC and others. ...More specifically, said the prime minister, "In any peace agreement, the territory under Palestinian control must be disarmed, with solid security guarantees for Israel." This was a very daunting condition. On the surface, of course, such a contingent agreement seemed to represent a manifestly "smart" concession, but only if there were also certain reasonable expectations of Palestinian compliance. In fact, such expectations were implausible. From the beginning, the state of nations has been the state of nature. Always, states and empires are poised for war. Normally, in order to secure themselves within this condition of protracted peril, they have fashioned assorted written agreements under international law. These formal codifications, expressed as treaties, have sought to smooth over the dreadfully harsh realities of anarchic world politics. Still, on a fragmenting planet, law insistently follows power politics. Throughout history, more or less grievous problems have arisen whenever particular signatories had determined that lawful compliance is no longer in the "national interest." The overriding takeaway here is that treaties can be useful whenever there is a conspicuous mutuality of interest, but they can also become worthless whenever such mutuality is expected to disappear. For the moment, Israel's 1979 Peace Treaty with Egypt – Muslim Brotherhood rule in Cairo notwithstanding – remains in place. But, at literally any moment, should President Mohamed Morsi decide to shore up his popularity with important Islamist constituencies, this could change. While any willful abrogation of treaty obligations by the Egyptian side would almost certainly be in violation of The Vienna Convention on the Law of Treaties (1969), there is little that the United Nations or the wider "international community" could actually do about it. For Israel, this prospect should raise a critical warning about certain related issues of Palestinian statehood. Already, in June 2009, Prime Minister Benjamin Netanyahu had agreed to the creation of a Palestinian state. Yet, with an apparent nod to presumptively prudent diplomacy, he also conditioned this acceptance upon Palestinian "demilitarization." More specifically, said the prime minister, "In any peace agreement, the territory under Palestinian control must be disarmed, with solid security guarantees for Israel." This was a very daunting condition. On the surface, of course, such a contingent agreement seemed to represent a manifestly "smart" concession, but only if there were also certain reasonable expectations of Palestinian compliance. In fact, such expectations were implausible. This is not only because virtually all treaties and treaty-like agreements can easily be broken – an incontestable historical conclusion - but also because, more particularly, any post-independence Palestinian insistence upon militarization would likely be lawful. Neither Hamas nor Fatah would ever accept anything less than full sovereignty. And why should they? 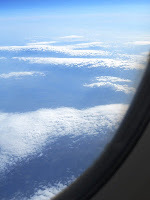 When I was flying over Europe, I looked at the clouds. They were really beautiful and so I took out my new camera - the one Haim helped me pick out (meaning he picked it out because he knows what he's doing) and I took a picture. Haim, my wonderful son-in-law was born in Israel (happy recent birthday to him!!!!) and he's never been outside Israel. Haim's father, Yosef, was born in Israel. He too has never been outside the land of Israel. Yosef's parents came from Libya to the newly re-declared State of Israel. None of Haim's siblings have ever been outside Israel and my daughter has happily and proudly accepted the fact that from this point onwards, she might never leave this land. It is a tradition they hope to pass on to their son, my amazing grandson, and God willing, other children to come. ...There is nothing wrong with wishing for something, so long as these hopes do not become an alternative for understanding the reality. Those who say "there is a solution to every problem, you just have to really want to find it" and "we cannot live by the sword forever" are putting their wishes ahead of a proper examination of the reality and all the options it offers. Even if Bennett's "shrapnel in the rear end" analogy was a bit below the belt, the spirit of his words was right, and it's a shame that the option of a non-solution to the Israeli-Palestinian conflict has never really been placed on the table of public discussion. When the risk involved in the establishment of a Palestinian state is significantly greater than the chance for true peace, and when the price Israel would have to pay is unbearable - particularly when the Palestinian partner has never proven it is really wiling to accept a Jewish state even within the 1967 borders - it is safe to say that what Bennett meant was that the conflict, in its current state, is irresolvable. At the heart of the majority of the public's political viewpoint lies the belief that the Israeli-Arab conflict can be resolved, and even if untying this Gordian knot is difficult and complex, it is not impossible. Bennett is the only key political figure – from the Left or Right – to ever raise the possibility of not resolving the conflict as a viable option. There is nothing wrong with wishing for something, so long as these hopes do not become an alternative for understanding the reality. Those who say "there is a solution to every problem, you just have to really want to find it" and "we cannot live by the sword forever" are putting their wishes ahead of a proper examination of the reality and all the options it offers. The world has given us many problems – in physics, math, philosophy and biology – which cannot be solved. And what is true for science is just as true for political conflicts. Some conflicts lasted hundreds of years, others ended when one or both of the sides disappeared; there were empires which collapsed, just as there were countries and nations that are mere footnotes in the pages of history. It is safe to assume that most of those who were involved in these conflicts believed wholeheartedly that there was a solution to their problems and suffering. There’s both good news and bad news for Palestinian Authority head Mahmoud Abbas. The good news is that Secretary of State John Kerry is heading back to the Middle East determined to pursue what virtually no one else believes is an opportunity to achieve peace between Israelis and Palestinians. This is good for Abbas because it gives him a chance to play the reluctant prima donna who needs to be bribed to return to peace talks. Even if he never sits down at the table or, as is even more likely, doesn’t stay long if he ever does, Abbas will be able to extract concessions from Israel in order to satisfy Kerry’s hubristic desire to attempt a feat that better men and women than he failed to accomplish. The bad news? It’s that Secretary of State John Kerry is headed back to the Middle East determined to pursue what virtually no one else believes is an opportunity to achieve peace between Israelis and Palestinians. Kerry’s insistence on paying more than the usual lip service to peace negotiations puts Abbas in exactly the position that he has been striving to avoid since fleeing the table after former Israeli Prime Minister Ehud Olmert offered him virtually everything he wanted including statehood and a share of Jerusalem. Abbas doesn’t want to act in a manner that would place the blame for the lack of peace where it belongs (on himself). But he also can’t afford to be trapped into a process that will allow his Hamas and Islamic Jihad rivals to portray him as being willing to accept the legitimacy of Israel. So while Kerry may think he’s being very clever in wheedling concessions out of Netanyahu in order to get Abbas to talk, it is just as likely that, as has happened often in the past, the attempt to push the Palestinians into an agreement will probably do more to create instability than it will bring the region closer to peace. As Haaretz notes, Abbas is trying to thread the needle when it comes to balancing his desire to avoid being made to appear the obstacle to peace with his equally ardent desire to avoid negotiating with Israel. Thus, he may be softening some of the preconditions he has sought to obtain in advance of talks that would deliver Israeli concessions without the Palestinians giving anything in return. But, as the Israelis already know, the last thing Abbas is likely to do is to keep talking even if he does agree to sit down with Kerry and Netanyahu. It is vitally important to see things as they are not as we wish them to be or how we need them to appear. 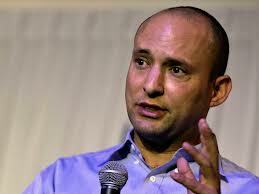 A few weeks ago Naftali Bennet spoke, possibly out of school, that Israelis would no longer support the ‘two state solution’ and that it was, effectively, DOA. This created a firestorm of accusations both from the AJC here in the US and from some parts of the Israeli government as well as the media in and out of Israel. There were threats, condemnations, calls of racism of course, and the requisite spin management and ‘walking back of statements’ although to my knowledge Bennett himself hasn’t qualified or modified that statement since. But what is Bennett saying? Did he say, as some have jumped on, that Israel is going to annex all of Yesha? Did he mimic the Arabs reared on the mother’s milk of “one Palestine from the river to the sea”? What he said was that Oslo was over, the Peace ‘process’ is over and there is no purpose in flogging an idea that was stillborn 20 years ago and hasn’t magically come to life since. He said simply, that Israelis are fed up with pretending there’s anyone on the other side of the table at all. There is not. Not an enemy, not a partner, nothing. No one. He said that the tactic of talking to yourself at the behest of the President of the US or Tony Blair is a dead end. That the so called “Arab Plan” which was concocted by Saudi Arabia in 2002 and pulled off the shelf last month is still the dead letter it always was. He said the details don’t matter because the whole farce is imaginary. But what is this mythical beast? A two state solution is the end result of hammering out the terms of separating the Arabs and the Israelis from one another. It is not and was never a statement of what or how the Israelis were going to create a national identity FOR the Arabs. No amount of concessions is going to do that. A ‘two state’ solution is the condition where the Arabs do whatever it is they do over there and they don’t muck with anyone else. And the Israelis pull up the drawbridges and do the same. This is the basic nature of countries. We do our thing and you do yours. Where we have something to do with one another is generally in the areas of trade and treaties. “Two-states” assumes that a permanent state of war doesn’t exist between the two states. By making the Palestinians the poster children for international victimhood, the Arab states believe they hold a permanent trump card to defame and pressure Israel. While the Arab states are saturated in petrol dollars, the funds mysteriously dry up when it comes to assisting Palestinians and subsidizing UNRWA. For millions of refugees, World Refugee Day is a day like any other. From Mali to South Sudan and from Myanmar to Haiti, countless men, women and children will once again awaken today to an uncertain future. They are aided in their perilous journey by the United Nations High Commissioner for Refugees (UNHCR), which works with governments to advocate and seek asylum for all refugees. That is, all refugee groups but one. Set apart by the shortsighted interests of the Arab states, Palestinian refugees are the world’s only card-carrying, professional group of refugees. Unlike other refugees, the Palestinians have their own set of rules, their own funding and even their own international agency, the United Nations Relief and Works Agency or UNRWA. To paraphrase George Orwell, all refugees are equal, but some refugees are more equal than others. In 2012, the United Nations spent six times more on every Palestinian refugee as compared to all other refugees. Like a favored child, the Palestinians have been on the UN’s permanent payroll for over 60 years and are entitled to every service from healthcare to housing and from food rations to education. When it comes to refugees from Syria or Somalia, responsibility falls to the host country to provide basic assistance. While UNHCR’s approach teaches independence, UNRWA’s approach prepares the Palestinians to be lifelong dependents. Under UNRWA’s framework, Palestinians can continue to be called refugees long after they acquire citizenship and find permanent housing. 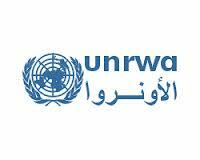 UNRWA’s humanitarian mission is undoubtedly important. However, it is being marred by its unspoken political motto of “once a refugee, always a refugee.” By allowing refugee status to pass to Palestinian children and grandchildren, the number of Palestinian refugees has ballooned from a few hundred thousand in 1948 to over five million today. Left unchecked, hundreds of thousands of Palestinians will continue to be added to the UN’s permanent payroll every year. Erdogan looking for an Israeli scapegoat? The history of the “two-state solution"
A Middle East Reality Check - “Khaybar"
What exactly is UNIFIL suppose to be doing?